Julian Green is a graduate of North Carolina Central University and has an MPA in Public Administration. 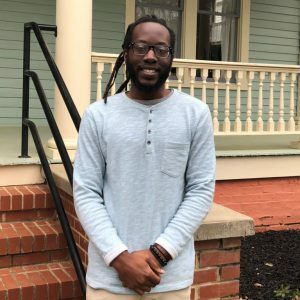 He joined Athens Land Trust in 2018 in the Community Agriculture Program as the Farmer Outreach Coordinator. His role was to assist new and beginning farmers, along with farmers of color and veterans, in growing their farm businesses. He is currently serving as Athens Land Trust's Community Garden Network Coordinator. He is eager to apply his skills and experience in outreach to the mission of ALT.